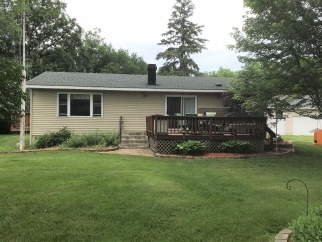 Additional Features and Amenities This unique property features a 3 bedroom, 2 bath home on Henderson Lake with over 7 acres and a 36x56 shed! Your kitchen is open to the dining & living and features oak cabinets and quartz counter tops with a patio door to your deck. The main floor master bedroom has it's own private deck and a walk-in closet. You'll also find a guest bedroom and bathroom on the main floor. The lower level features a spacious family room, a guest bedroom, an office & storage area with a walk out. Start making your memories at the lake, call today!